The Cordial Chef – Love People. Cook Them Tasty Food. Tonight, I was in the mood for a new recipe, and wanted to make something special for my wife. She’s a big fan of Alfredo pasta, and also things made with puff pastry. So I concocted a recipe that married them both together. The end result was warm, creamy, flavorful, and flaky – absolute deliciousness! If you’re looking for a slightly different take on your next pasta recipe, give this a shot. You’ll be glad you did! A few weeks ago, I was in the mood for pizza, but also for quesadillas. So I thought I’d marry the two together to form one delicious concoction: Pizzadillas! They a lot like a calzone, just in a tortilla, and are pretty simple and straightforward to make, requiring just a bit of oven time in a couple steps of the process. But you can make them with whatever you like on your pizza, making them easy to personalize. The end result has been nothing short of extraordinary, and has quickly become a lunchtime favorite of my wife and me. 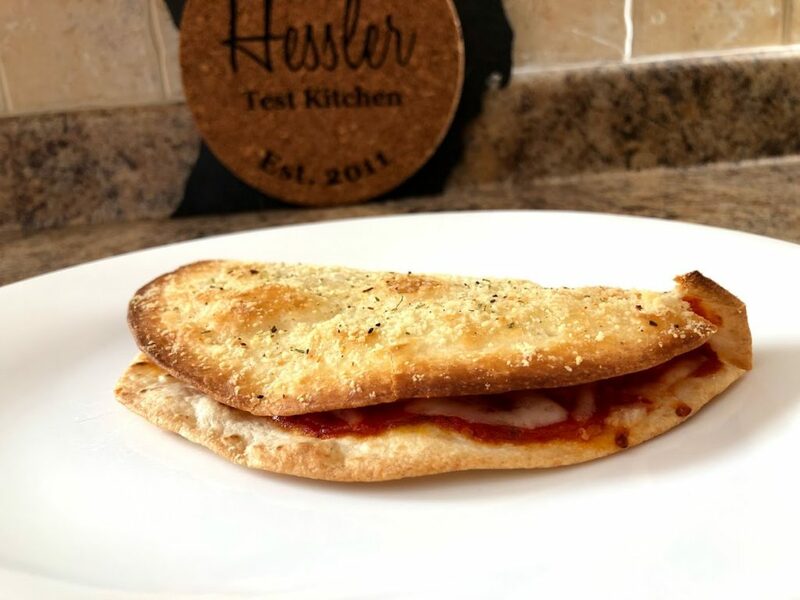 If you’re looking for a new way to enjoy your pizza, look no further and give this a shot. You’ll be glad you did! This morning, I was jonesing to make a University of Michigan inspired breakfast in honor of the Wolverine’s 2018 football season kicking off. In the past, I’ve made lots of blueberry muffins, pancakes, and even block M pancakes. But today, I wanted to do something new. 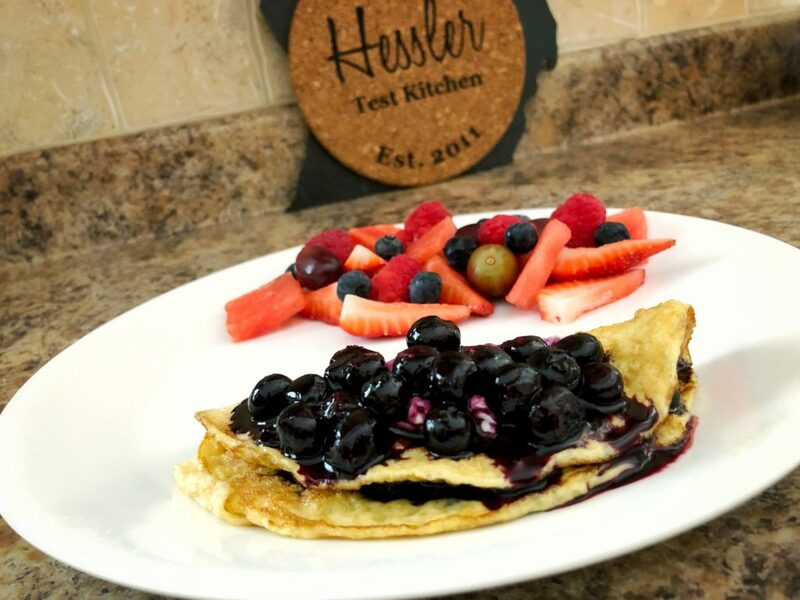 So after a bit of searching for inspiration, I decided upon these Blueberry Cream Cheese Omelettes, which were inspired and compiled together via a couple different recipes I found. The end result was delectable and delightful. It wasn’t as sweet as a crêpe, and not as savory as a “regular” omelette, but was a nice amalgamation of the two. So if you’re looking for a new recipe that will satisfy both sweet and savory, give this a shot. You’ll be glad you did! The other day, my wife requested that I make Tomato Basil soup some time. Rather than just getting a can of it at the store, I decided it was high time to try my hand at a new recipe. So I sought out some recipes and found one that seemed like a good one (though let’s be honest, most every recipe was about the same). Well, I gave the recipe a go, and admittedly, it was a complete bust. I followed the recipe exactly, and the end result was bland and overly brothy. So I had to improvise and add in some last-minute magic. 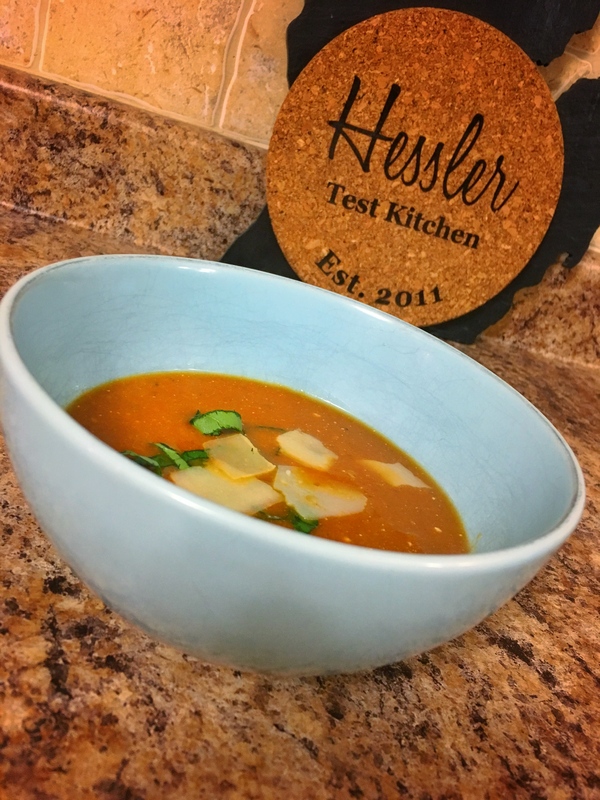 In the end, my off-the-cuff efforts were worth it, as the final product was one of the best Tomato Basil soups that my wife and I have ever had. If you’re in the mood for a good, flavorful, and healthy soup to warm you up, look no further. You’ll be glad you tried this recipe! 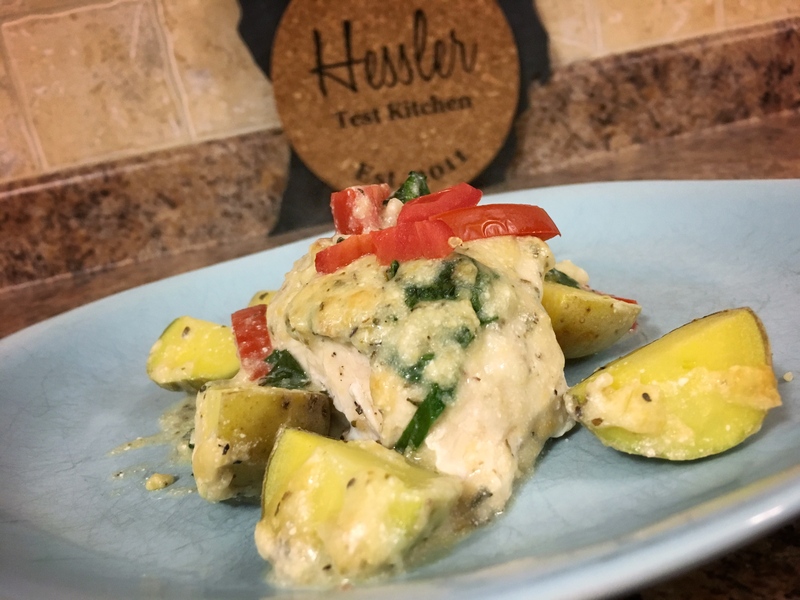 Tonight, I decided to make this recipe that my wife shared with me for Baked Garlic Parmesan Chicken & Potatoes. The recipe is courtesy of 12 Tomatoes, and proved to be an easy, cheesy, garlicy dish that was an instant crowd pleaser. 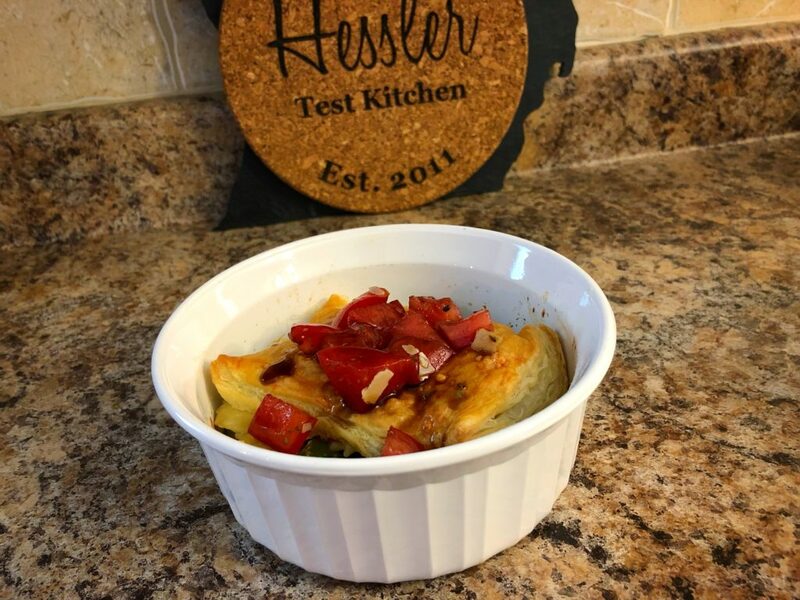 If you’re looking for a nice, new comfort food recipe for the upcoming chilly months, look no further and make this recipe. You’ll be glad you did. I promise!